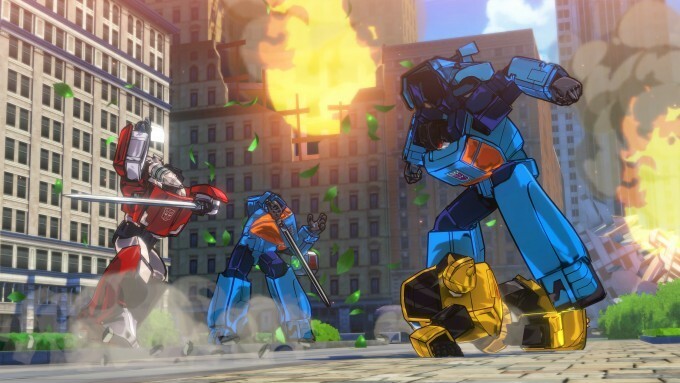 PlatinumGames takes the celebrated Transformers series for a spin in this high-speed action game. Shift from car to robot and back while slamming into fast-paced action and hard-hitting combos, with visuals painstakingly created with inspiration from the IDW comic series, Generations brand toys, and the classic cartoon. 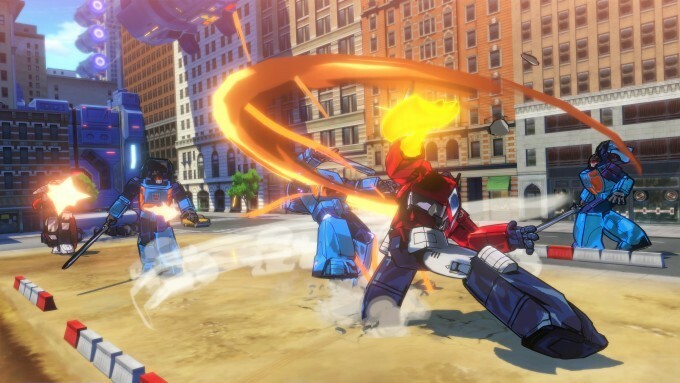 With Transformers: Devastation, PlatinumGames provides a new entry to the series that successfully blends modern style with the Transformers that fans know and love. Platforms: PlayStation 3, PlayStation 4, Xbox 360, Xbox One, PC | Genre: Action | Release Date: October 6th, 2015 | Retail Price: $49.99 | ESRB Rating: Teen | Publisher: Activision Publishing, Inc. | Developer: PlatinumGames Inc. | TRANSFORMERS and all related characters are trademarks of Hasbro and are used with permission. ©2015 Hasbro. All Rights Reserved. Game ©2015 Activision Publishing, Inc. Activision is a registered trademark of Activision Publishing, Inc. 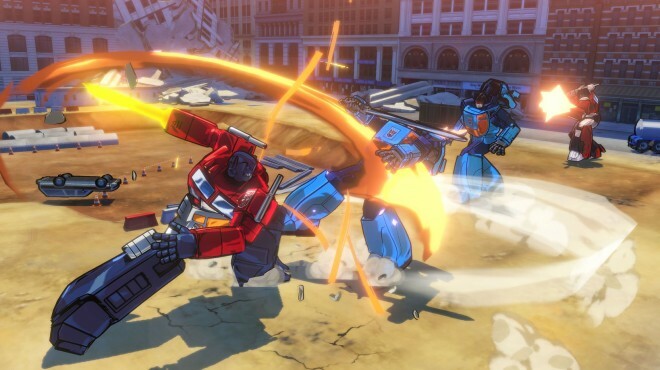 The key to mastering combat in Transformers: Devastation is skillfully shifting between your character’s robot and vehicle modes. 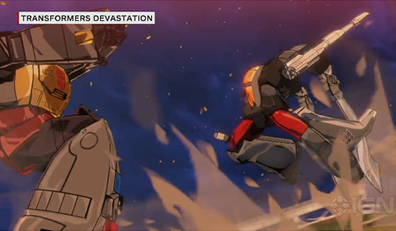 Send your opponent flying with a powerful kick in robot mode, then switch to vehicle mode to run them down! After you’ve reached top speed in vehicle mode, change back to robot mode and use your inertia to slam into the enemy with a devastating punch! Switch between modes to dodge, counter and follow up with devastating combos. The power to transform is at your command! Your favorite Transformers characters have seen more than a few different visual interpretations throughout the series’ 30-year history. 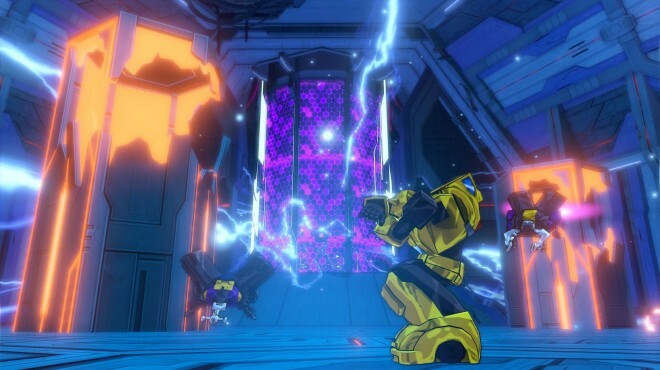 With Transformers: Devastation, PlatinumGames blends the old with the new by using modern visual techniques to recreate the nostalgic look of Japanese robot anime and classic Transformers shows. The end result is both familiar and fresh, and sure to please Transformers fans young and old. 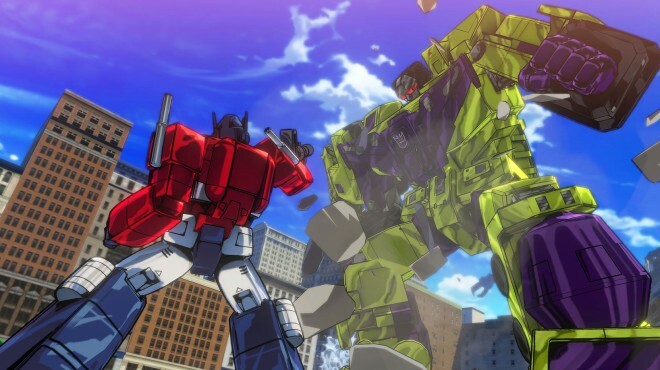 Experience a thrilling story, drawing influence from several beloved branches of the Transformers series, including the IDW comics, the Generations series, and the original cartoon. 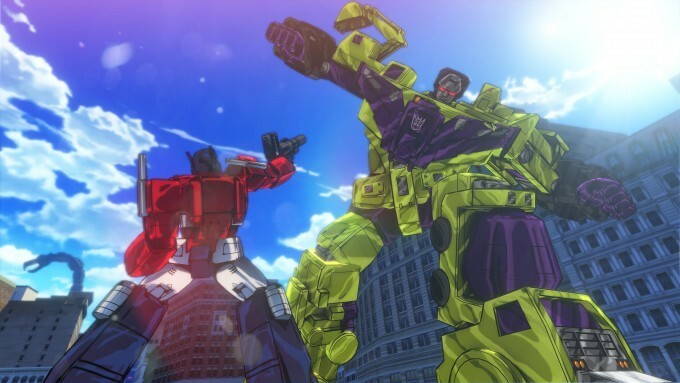 To put it on a timeline, Transformers: Devastation fits in the 20-year gap between the G2 series and the 1986 animated movie. 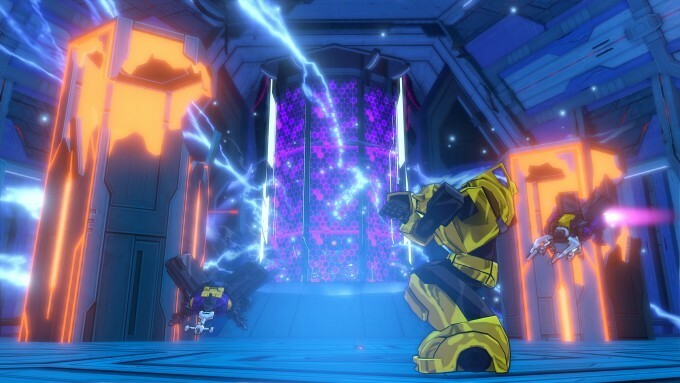 Transformers: Devastation features a story campaign written by Andy Schmidt, known for his work in the IDW Transformers comic series. 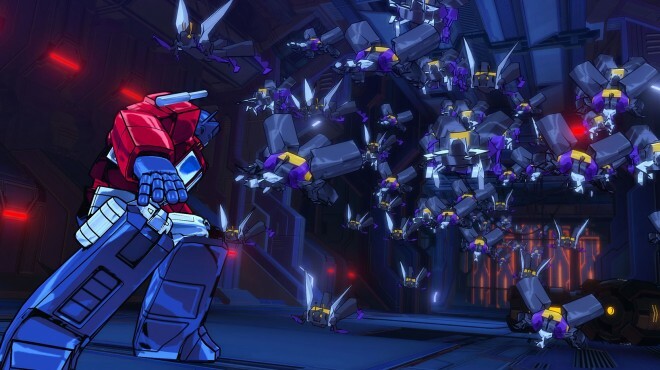 His extensive knowledge in all things Transformers helped tie the world of Transformers: Devastation together. 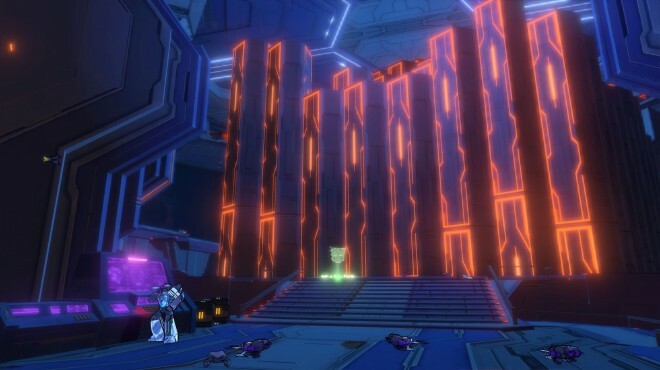 Megatron and his dastardly Decepticons harness plasma energy in an attempt to reforge the Earth into a new Cybertron. 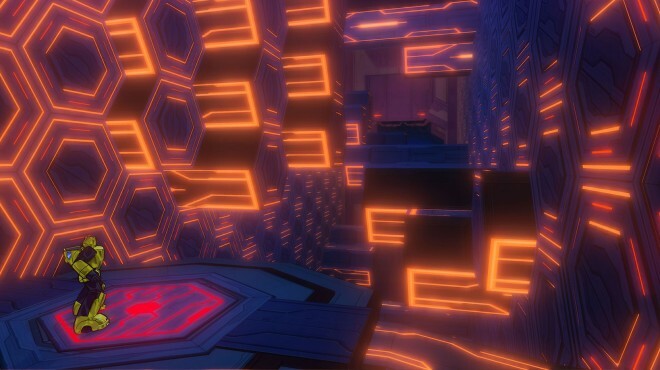 The fate of humankind hangs in the balance as you join the Autbots, led by the heroic Optimus Prime, in their fight to stop Megatron from destroying the Earth’s ecosystem! What Makes Platinum Perfect for Transformers? 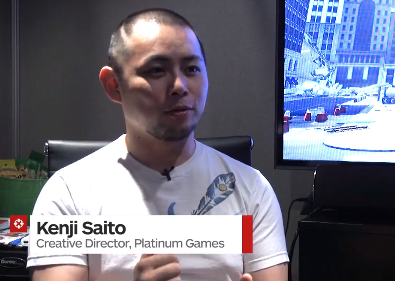 PlatinumGames Director Kenji Saito takes part in this IGN interview. 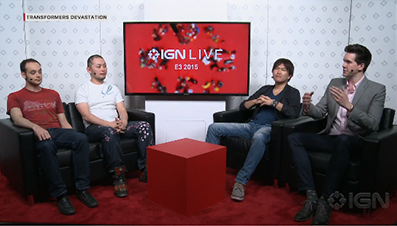 Robert Conkey (Activision, Producer), Atsushi Kurooka (PlatinumGames, Producer) and Kenji Saito (PlatinumGames, Director) discuss the game at IGN Live: E3 2015. 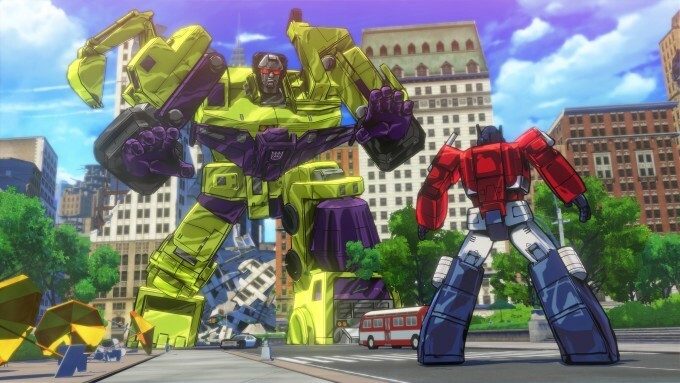 A trailer is shown to announce Transformers: Devastation.